Our lessons are structured and standards-based in a ready-to-implement package that is easily integrated into existing Science, Math and Technology curriculum. 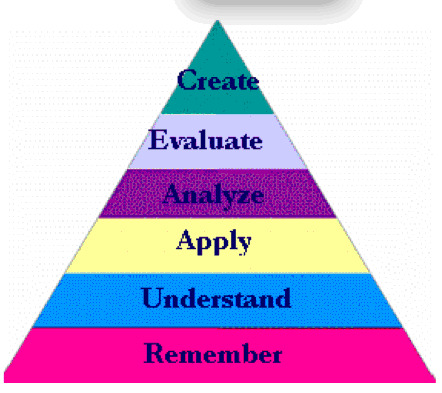 Everything the teacher needs for implementation is included and covered in the professional development session. Our materials are Web-based and run on your current school technology. Strengthen student skills in working cooperatively to solve problems, while improving reasoning and communication skills. Stimulates student interest in preparing for careers in STEM fields. Students will benefit from using our standards-based lessons because they apply their science and math skills to investigate solar energy in real-world contexts. This enhances student understanding of related conservation and sustainability principles. Analyze other data sets to develop and test hypotheses to explain the visible differences. Present their school solar power system design to the class. 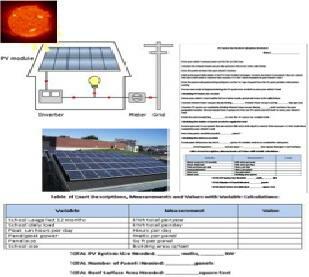 Evaluate, design and build a virtual solar PV system for their school. Prepare and present system proposals in competitions with other class teams and other schools. 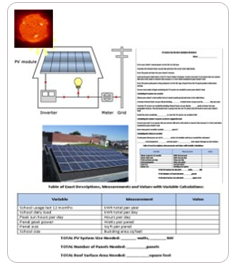 The solar energy unit of lessons is the first in a series of upcoming units. Future units of study will use other energy alternatives and energy-smart technologies: wind, bio-fuel, geothermal, waterpower, smart grid, energy-efficient buildings, electric charging stations, and plug-in hybrid electric vehicles.